Welcome, July! Summer&apos;s in full swing and it&apos;s going to be a great weekend in Wilmington, Delaware and the Brandywine Valley! Here are our picks for your weekend itinerary – and don’t forget to share your travel pictures using #VisitWilm on Instagram & Twitter! Is your stuffed animal under the weather? Teddy feeling a bit blue? 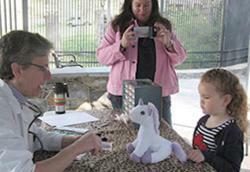 Bring your favorite stuffed animal to the Brandywine Zoo, or adopt one from the gift shop, to get a checkup with their Zoo Veterinarian. Stuffed animals might get their vitals checked, bandaged or given ‘medicine’ to make sure they have a clean bill of health before heading home with you! Free with paid admission to the zoo. 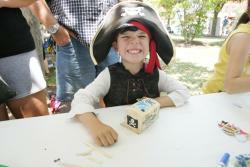 After a several-year hiatus, the Kalmar Nyckel Foundation will bring back its popular Wilmington Pirate Festival! The event will once again take place on the Wilmington Riverfront, but this year will be held at the Kalmar Nyckel&apos;s Shipyard and adjacent Fort Christina Park, where the original Kalmar Nyckel first reached land in 1638. The Wilmington Pirate Festival will feature a day of pirate and maritime-themed activities offered on land, both at the Kalmar Nyckel&apos;s Shipyard and historic Fort Christina, and on the ship itself. Free Admission. 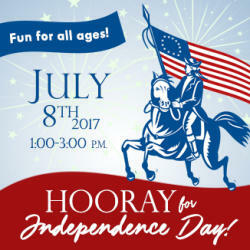 Celebrate Caesar Rodney’s important role in Delaware’s declaration of independence from British authority with an afternoon of fun family activities at the Delaware History Museum! Families are invited to relive Caesar Rodney’s exciting nighttime ride to Philadelphia during story time featuring the children’s book, Caesar Rodney&apos;s Ride: The Story of an American Patriot by Jan Cheripko. Children can learn Continental Soldier drills and make a 4th of July themed craft. $6 for Adults, $4 for Children. The 2017 Ladybug Festival is right around the corner! Join Gable Music Ventures for a tease of what to expect, this Saturday at Kelly&apos;s Logan House. Performers include: Noelle Picara, Alyssa Lee, and Fuzion Sol Band. 21 & over only - no cover!